The ultimate machine for the at-home barista who demands precise control over every element when taking beans to their fullest potential. At the heart of this machine is it's dual boiler heating system. 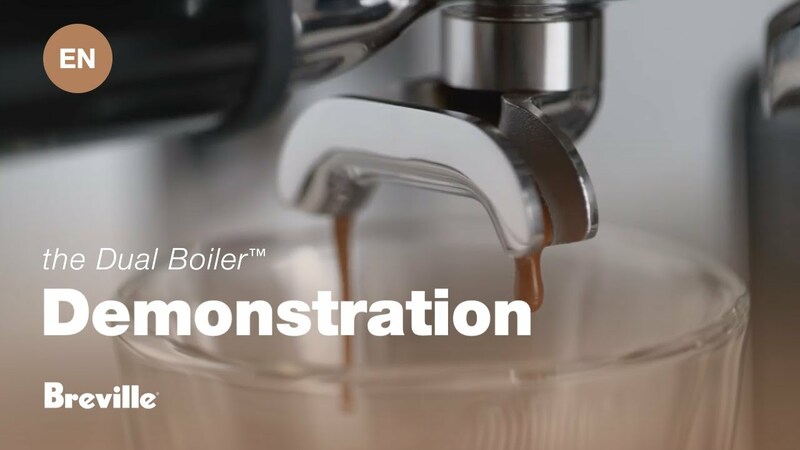 The boiler, for the espresso shot, is PID temperature controlled, while a separate steam boiler offers instant and powerful steam on demand. So you can extract your shot at the right temperature, delivering optimal flavor, while simultaneously steaming your milk to cafe quality. Dual stainless steel boilers and heated group head controlled by digital temperature control (PID) brings water to precisely the right temperature (+/- 1⁰C) to extract maximum flavor potential, shot after shot. Allows easy programming and has a shot clock for timing the extraction.